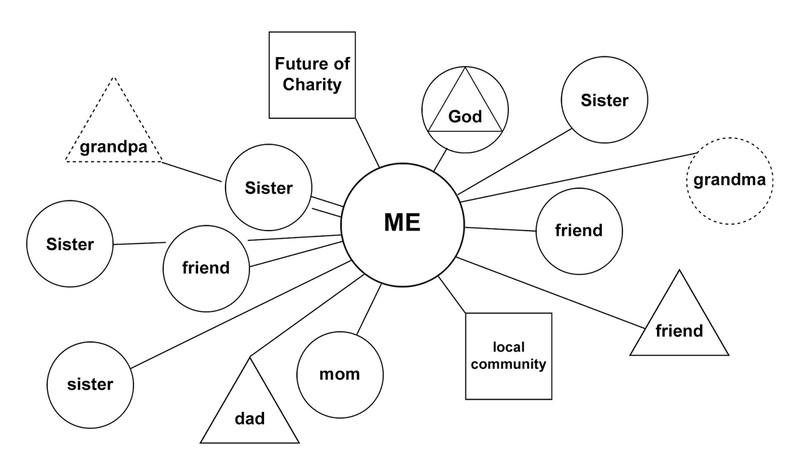 In order to reflect upon the relationships in our lives—those that help us become more fully ourselves—we were each asked to draw a social atom. Beginning with a blank piece of paper, we drew a symbol in the middle to represent ourselves. Then we reflected on the question: What are the significant relationships in my life right now? 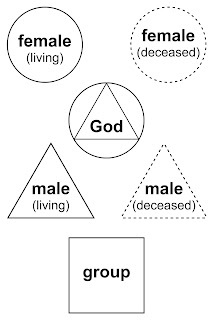 It was up to us to define what constitutes a “significant relationship.” Using circles for females and triangles for males, we added symbols to the page to signify our family, friends, community members, etc. Inside each shape we wrote the name of the person symbolized; and even deceased persons with whom we still feel connected could be included. 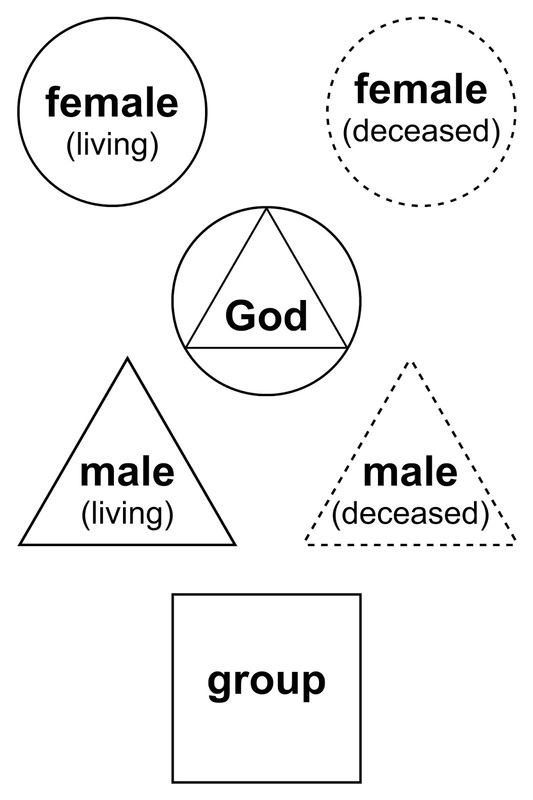 Other shapes we used were a circle/triangle combo to represent God and squares to represent groups of people. The closer a symbol is placed to the center, the deeper we feel in relationship to that person or group. 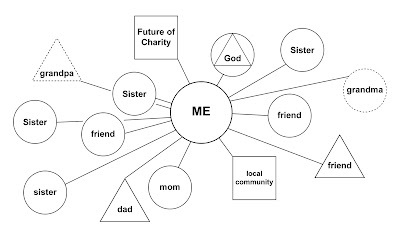 Once we finished drawing our social atoms, Sr. Lynn had us ask ourselves to complete two thoughts: “I notice…” and “I’m feeling…” Some people noted the imbalance of female and male relationships, while others noticed that their family members were not the closest people to the center. And the feelings people shared included joy, gratitude, surprise, sadness, and many more. It was incredible how many awarenesses rose out of that simple activity. So now I invite you to make your own social atom. Don’t overthink it. Don’t worry about forgetting someone or about how close to place them. Follow your first instincts. And remember, this is about your significant relationships now, not what they used to be or what you hope they will be. Then take time to sit with the result and ask yourself what it tells you about yourself and the people around you. How does it make you feel? Why?